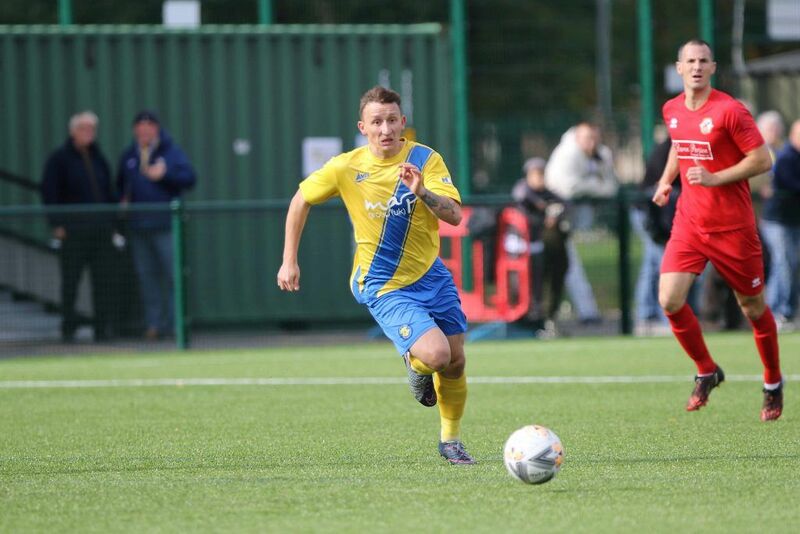 Stockton Town make the relatively short trip to face Guisborough Town tomorrow looking to keep the goals flowing and build on last Saturday’s impressive triumph over North Shields. Goals from Peter Bulmer, Jake Petitjean and a brace from Dale Mulligan helped The Anchors return to winning ways with a convincing 4-1 victory against North Shields at the Coverall Stadium last time out. The goals have arrived in abundance in recent games for Stockton, having found the net 12 times in their last four outings. That they’ve managed to convert the goals into a win and stem the flow at the other end will undoubtedly please Michael Dunwell ahead of this weekend’s fixture. Perhaps the only slight concern is that the goals have been coming from the midfield and defence whilst they have slightly dried up for the forwards. Mikey Roberts will be keen to add to his five league goals when he makes the trip to face an old club where he enjoyed a prolific time in front of goal. The Priorymen enjoyed a sustained period of success over the course of three or four seasons in the early and middle of this decade. Under the stewardship of now Whitby manager Chris Hardy and with players such as Danny Johnson, Adam Gell and our very own Mikey Roberts and James Risbrough, Guisborough were title challengers in several seasons. That appears to have fallen by the wayside now, though, and Town have been gearing up for battles at the wrong end of the table in recent years. An inconsistent start to this campaign has returned eight points from their opening seven outings and they will be looking for three points on Saturday to add a bit of distance between themselves and the places beneath them. Guisborough boast a squad with a good mix of youth and experience. Nathan Steel, a perennial Teesside based goal threat, has flourished once more this season and has found the net six times in his opening seven league games. Former Whitby stalwart Mark Robinson brings a level of experience to a squad that boasts young talent in former Middlesbrough futsal players Bradley Mills and Dylan McAvoy. The Priorymen pose a strong threat and know exactly what to expect from several Anchors players who donned the red in white in the past. Mikey Roberts enjoyed a highly successful spell at the KGV Stadium where he formed a formidable partnership with Motherwell striker Danny Johnson. Guisborough have had some solid goalkeepers among their ranks in recent years with Nick Liversedge, Luke Coddington and Dan Dixon all taking their place between the sticks at the King George V Stadium. That trend continues this season with Jordan Nixon excelling in the Town goal. Former Middlesbrough Academy goalkeeper Nixon counts Gateshead, Darlington and West Auckland among his former clubs and such is the level of influence he has had on things for Guisborough that he now captains the side. 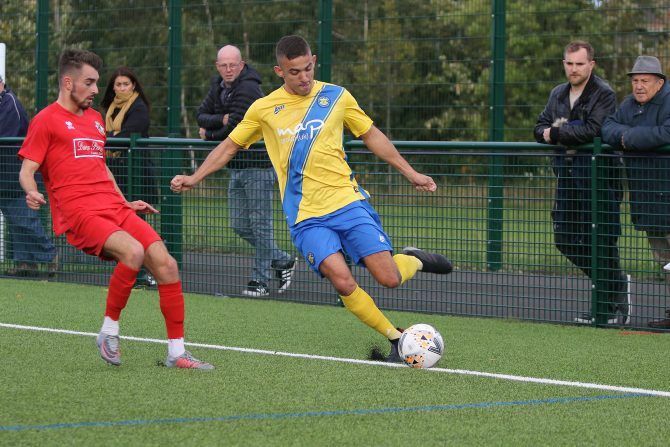 Nixon has made the headlines this season for his exploits in the opposition box having found the net twice with two incredibly well-taken injury time equalisers. Here’s hoping The Anchors can give him enough trouble with keeping the ball out of his own net at the KGV. Guisbrough edged The Anchors last season picking up victories in two of the three encounters between the two sides. The first game of Stockton’s competitive season came at the King George V Stadium last season as goals from Sonni Coleman and, now Billingam Synthonia striker, Kallum Hannah were not enough to prevent Michael Dunwell’s men from making an early exit from the FA Cup in a 3-2 defeat. The scoreline would be replicated in the first league clash of the two sides just a month later. The Anchors again succumbed to a 3-2 reverse with James Ward’s goal and Nathan Mulligan’s penalty unable to earn Stockton anything to show for their day out in the gateway to the North York Moors. The Anchors would finally get their revenge as Guisborough visited the Coverall Stadium for the return fixture in the league. A Jamie Owens brace sealed a 2-1 victory for Stockton and a first league triumph over The Priorymen. Guisborough Town vs Stockton Town is a 3pm kick off at the King George V Stadium.